Intelect D-HVP Digital High Volt Portable Stimulator Digital High Volt Portable Electrotherapy. Single channel. Accurate one-touch digital programming access. Total of 20 custom and standard presets. Unique pause feature. Ergonomic case design. TENS/EMS Units & Stimulators can be found in our extensive online collection of products from globally recognized and trusted brands, including Chattanooga. 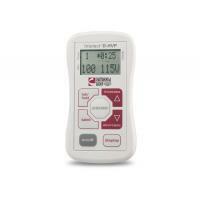 An excellent option to consider is the Intelect HVP High Volt Portable Stimulator.